Casino Cruise was established in the summer of 2014. It is run by EveryMatrix, who forms part of OddsMatrix, a company which acts as a consolidation service bringing together lots of top gambling providers into one convenient package. The casino is licensed and regulated by the Malta Gaming Authority as well as by the UK Gambling Commission, two very stringent and reliable authorities. As the casino’s title tells, the theme is a giant Vegas-style cruise ship. We love the concept, and the site is straightforward to navigate. Their service is modelled on the cruise industry, treating members like welcomed guests on board of a five-star ship. The crew – or European-trained staff – is dedicated to providing players with an enjoyable and seamless gaming experience. Casino Cruise is a NetEnt casino, running on the OddsMatrix Platform whose games are available in Instant Play right in your browser. The betting site uses SSL encryption for all information exchanges to keep cyber thieves at bay. 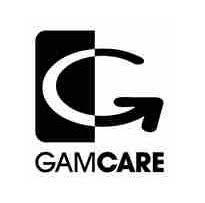 All payment methods are PCI compliant which means that players’ card details are handled safely. Gamblers can sleep easily as we can confirm that the casino meets the highest security standards for payments such as withdrawals and deposits. To verify that their games are fair and completely random, the site bears the RNG Certified stamp of approval. Unfortunately, not everyone is welcome at Casino Cruise. Certain countries are denied access, including Denmark, France, Guam, Hungary, Iran, Israel, Portugal, Puerto Rico, Romania, Spain, Turkey, U.S. Minor Outlying Islands, U.S. Miscellaneous Pacific Islands, U.S. Virgin Islands and the United States. To see whether you can play from your country of residence, the operator offers a first-class service via live chat, email or phone 24 hours a day. Like some of the best online casinos, this betting site offers players an advanced mobile experience for play on the go. On mobile devices like smartphones and tablets, the casino loads reasonably fast and has a catalogue of over 200 games for easy play while on the move. Casino Cruise offers players a thrilling range of virtual games from diverse software providers including big names like Microgaming, NetEnt, Evolution Gaming, NYX Interactive and Play’n GO. Players are spoilt for choice with more than 1,200 games to choose from. The gambling site’s gaming catalogue consists of multiple video slots, table games, Video Poker, classic slots, jackpot games and a selection of other casino games. In the slots section, players will find a vast collection of video and classic slot machines, including the latest titles Halloween, Jurassic World, Book of Dead, Sakura Fortune, Starburst, Crystal Queen, Mayana, Butterfly Staxx, Prosperity Twin, Wins of Fortune, Scruffy Duck, and Copy Cats. There’s even a section for free slots, where players can try out the games they like for free to get a feel for the way they work. Plus, there’s no need to make a deposit or even register. What is lacking is a section clearly indicating the site’s jackpot games. One thing we noticed is that the table games section is quite disorganised. There are two tabs for online Blackjack and Roulette. However, there are plenty of other games like Punto Banco, Baccarat, Casino Hold’em, Pai Gow, Red Dog, Pontoon and more, thrown into these categories. What’s great is that the casino offers different variations of most of these games to make an excellent assortment of table games. Casino Cruise has also a broad selection of more than 60 live casino games from NetEnt Live and Evolution Gaming. You’ll find several types of Blackjack, Roulette, Three Card Poker, Caribbean Stud Poker, and Baccarat amongst others. There are many ways to make a deposit at Casino Cruise. Punters can make use of the following methods: Visa and Mastercard credit/debit cards, e-wallets such as Skrill, Neteller and EcoPayz and electronic vouchers from Paysafecard. All deposits are free and instant, allowing for a minimum of £10 per transaction and a maximum of £5,000. In the case of withdrawals, players can use the same methods, apart from Paysafecard. Gamblers will be happy to know that there are no charges attached to these types of transactions and payments via e-wallets are instant, whereas others may require up to three business days to process. They can also effect an online bank transfer if they prefer; however, this may take up to five days to process. The minimum withdrawal amount is £10, and the maximum is £2,300. Up to £1,000 Welcome Bonus! New members to Casino Cruise can enjoy a fabulous welcome package, excellent service and fantastic promotions. The betting site is offering a signup bonus of £1,000 and 200 free spins over four deposits. On your first deposit, you’ll receive a 100% match up to £200 and 20 daily free spins for ten consecutive days on NetEnt’s Starburst slot. That means if you deposit 50 credits, you’ll get £100 to play with. On your second deposit, you’ll get a 50% match up to £200; and on both the third and fourth deposit, you’ll receive a 25% match bonus up to £300. Terms and conditions apply. New Players only. £10 minimum deposit. All bonus and Free Spins offers are subject to 40x wagering requirements. Minimum turnover required for free spins on the 1s deposit bonus is £5. Free spins will be awarded at a rate of 20 free spins over 10 consecutive days and will be available for 24 hours. 18+ only. Maximum withdrawal for Free Spins winnings is £100. Restricted countries: Hungary. Play Responsibly. www.begambleaware.org. Full terms and conditions. It’s important to note that deposits made via Skrill or Neteller are not eligible for the welcome offer. Players will have to wager the bonus amount 40 times in all cases before it’s converted to their real money balance. There are loads of promotions available at Casino Cruise – so much so that it’s hard to keep up! Aside from the welcome package, players have the chance to win a real cruise by playing at the site. There’s also a Monday Breeze promotion whereby returning punters will receive a 50% reload bonus up to £100 and 20 free spins. There are also the Monthly Splash Bonus and the Tuesday Pool Party promos, both of which offer even more superb reload and match bonuses to really boost your bankroll. In all cases, Terms and Conditions Apply. If that’s not enough, there’s even a VIP program which comes with exclusive benefits, invitations and gifts. Being part of the Captain’s Club entitles you to promotions and bonuses in abundance. 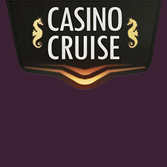 To enter the club, all you have to do is play Casino Cruise games to earn loyalty points. There are three levels, or suites, with different offers, including express withdrawals, a personal VIP account manager, personal gifts and cashback offers, as well as tailor made bonus structures. There’s not much to say except that we’re really impressed by Casino Cruise. The gambling site excels in every category we throw at them. The only thing which bothered us was the messy table games section and the lack of a jackpot games section. Other than that, we definitely recommend the casino and commend it for its safety practices and transparent terms and conditions.